Addy Collins doesn’t really want to go back to Montana. But she doesn’t have a choice. She has a job to do and that is to find out what Trent McGowan and his brothers pretend to do with their oil business and a big piece of land. Her goal is to protect the environment and, in her eyes, the McGowans are doing the exact opposite. Sadly, I liked the first book of the series a lot more than this one. This book is not as passionate as Closer to you. 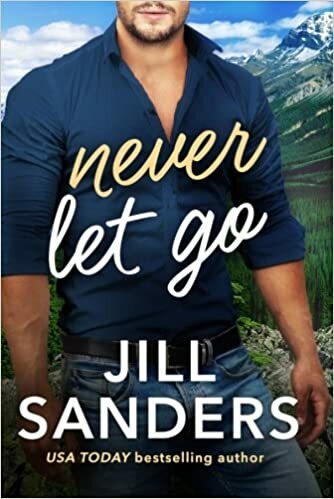 It’s just not the kind of story that consumes you and that was a little disappointing because usually I really like Jill Sanders’ work. Her writing style is light, romantic and a little bit fun and that was noticeable in this book. The only thing that I missed was the intensity of it! Dangerous scenes didn’t really felt that dangerous and emotional ones were kind of emotionless. The characters were okay. Addy is a fierce woman when it comes to her job but not so much when it comes to her love life. On the other hand, Trent is overall confident. Not smug, just confident. This book is a standalone so you don’t need to read the previous book to read this one but, for those who did read Closer to you, you will be happy to know that there are some bits and pieces of Kristen and Tyler in this book too. Anyhow, if you’re in the mood for a cute and mysterious story, I would recommend you this book. But, if you’re like me and you like to be consumed by a book, I feel like this will leave you hanging!